The need for firms to be fair to Singaporeans does not end once a worker has been hired. Acting Manpower Minister Tan Chuan-Jin made it clear in Parliament yesterday that his ministry's scrutiny of firms extends to other human resource practices too. "Firms will also be flagged out if there are repeated complaints of unfair HR practices, whether it is for hiring, promotion, retirement or retrenchment," he said. He was responding to Nominated MP Eugene Tan, one of seven MPs who raised questions on the Fair Consideration Framework announced last month. It includes a requirement for firms looking to hire skilled foreigners on Employment Passes (EP) to first advertise for 14 days on a government jobs bank. The framework also features greater scrutiny of firms that may have discriminatory HR practices: They will have to provide the Ministry of Manpower (MOM) with information like organisational charts with data on nationality. "Such firms will be subject to additional scrutiny in their work pass applications and those which are found to have poor employment practices may have their work pass privileges curtailed," said Mr Tan. The Fair Consideration Framework drew the most questions yesterday. Of the five MPs who filed questions on it, three rose with more queries, as did two other MPs who had not filed questions. The rush was such that Mr Pritam Singh (Aljunied GRC) was unable to get a question in. His attempt to do so after Parliament had moved on was denied by Speaker Halimah Yacob. Mr Tan also shed more light on the new framework. For instance, one factor that may land a firm under MOM's gaze is how fast its proportion of Singaporean professionals, managers and executives (PMEs) changes over time, he said in his reply to Ms Sylvia Lim (Aljunied GRC). MOM has an "internal sense" of what this should be, he said. "It's an assessment and a judgment based on where we see the whole economy going." Mr Png Eng Huat (Hougang) asked why firms with 25 or fewer employees were excluded from the advertising requirement. Mr Tan said small firms may not have "sophisticated HR management" to process many job applications. More importantly, larger firms hire most - 75 per cent - of EP holders. Those with 25 or fewer staff employ about two EP holders on average, while the others employ 18. Mr Tan stressed that this was only a "practical exemption" from the advertising requirement, and not from other aspects such as scrutiny. 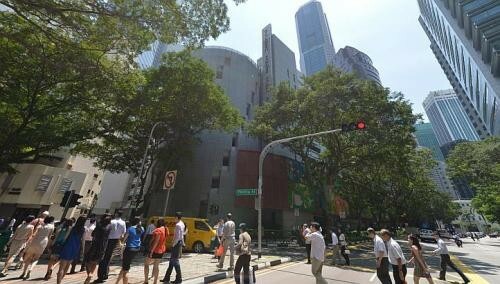 "There are no exemptions to the need for firms to consider Singaporeans fairly. All firms must do this." But he also stressed that Singapore must remain open: "It is not the intent, nor is it desirable for us, to ensure that every single PME job will go to Singaporeans. "I think we do need to make sure that the economy remains competitive, and that's probably the best way to look after the interests of our Singaporeans."